Hush….the world is listening! | Marbella Marbella – Adelante! Barcelona, Madrid and Valencia are cities whose traditions, culture, art and ambition I have already witnessed crossing international borders and amount to much more than real estate or investment centers. Words alone are cheap in this world and reputation comes with a heavy price tag, far more than just money and time, but also a deep seated genuine passion for your subject accompanied with patience and courage. Gorgio Armani, Piaget, Rolex, Audemars Piguet, Harry Winston are just a few famous global brands etched into history who showed some, maybe all, of these attributes and who I have worked with very closely, and become friends with during my career in design. Some of my watch designs stretching back as early as 1989 later ended up on the wrist of what are now very well known music producers, icons in their own fields, like Usher and Jay-Z. 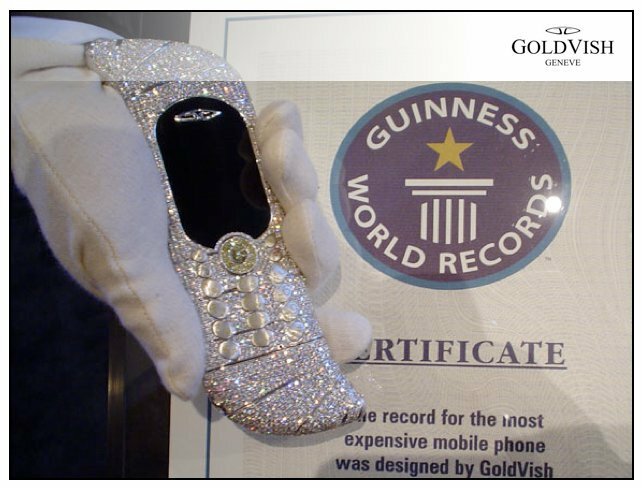 Much later in 2006 I was fortunate to have an entry in the Guiness World Records as the designer of the worlds most expensive mobile telephone the Goldvish “Le Million”. But while my design work navigates the planet the more I travel from my home and workplace in Geneva the more I realise just how small the world actually is. It is a practical fact that today in the age of private jets and super airliners travel itself is much easier. But with age and experience the level of interest and passion I need to set about involving myself with a major new project have become greater. And this is where my association with Marbella begins. 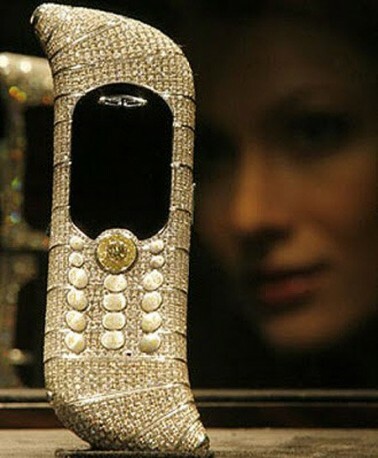 Labelled the worlds most expensive piece of “bling” my Le Million mobile handset design had sold for over $1.2M at the Cannes Millionaires Fair. It was a diversion for me in terms of both philosophy and career, a one off commission, something I thought I would never see again let alone expect five years later would bring me here to Marbella as part of a major feature film project. Having spent a large part of my life in the USA, going to the movies with friends (some of them tough self appointed cinema critics) was a tradition. That tradition was ocassionally a pleasure, sometimes an obligation, but I still count some of those cinema seat dollars as money well spent, largely in entertainment but yes some also in actual inspiration. So when last year a feature film script landed on my desk in Geneva it was an opportunity to test which catergory this project might fit into. Pleasure or obligation. The postmark on the envelope was Spanish. That was not necessarily a good start. I had never visited Marbella but if I was to read an unsolicited film script, let alone board a flight to Marbella, I needed a lot of convincing. The films writer anticipating that fact was not a shock for me. How he got my interest was. Pinned to the film script was a blueprint to a brand new social networking device. It was obviously not sketched by a graphic designer. But as I began to read the film script the concept spoke more loudly to me than the loudest of Marbella beach parties. Coupled with the fixating story of a modern day online fraudster hiding out in Marbella, the plot had more layers, was more emotional, convoluted and harder hitting than any gangland heist, Bonnie & Clyde or bank robbery film I had seen before. It was only a short time later that I found myself waiting at the Marbella Club Hotel to meet the film writer Paul Grimshaw. Since our first meeting in June 2011 I have returned to Marbella and most recently during the Marbella International Film Festival where we were fortunate enough to spend time with organiser and friend Jo-Anne Frisa Van Tuijil. 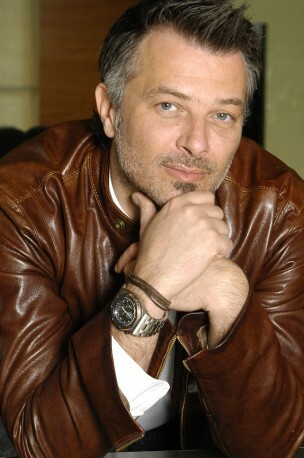 Developing feature films is a time consuming process which often takes years of planning but Paul Grimshaw’s film project Shill and sequel Shill 2: Phonesex has grown parallel to his social networking concept which is now a patent applied design and which has been christened Hush Interative. Alongside the film Shill we will bring Hush to the market and hopefully several other product ideas alongside Barcelona based industrial branding expert Fran Aniorte (http://www.aniortedesign.com/tipo/branding-and-retail/ ). While many of my own designs have been high-end luxury items intended to be enjoyed by the lucky few Iam also about to bring to the market a brand new Swiss watch design called Gaston. Iam very excited by it. Iam also excited about my collaboration with Paul Grimshaw who’s film writing will enable me to explore the use of product placement. Paul has a surreal visual mind, somewhere between iconic Amercian filmmaker David Lynch and todays Quentin Tarrantino. But instead of guns and getaway cars Paul has written colourful three dimensional characters and used everyday human objects like mobile phones, brought to life in film to tell stories about modern society and culture, and in so doing turn them into screen stars in their own right. While the glitterati shores of Marbella continue to buzz we will quietly go about developing the patent business of Hush and those secretive designs which we hope to eventually reveal to the Marbella public and the world alike. Elevate Entertainment Inc. are actor Vinnie Jones management and production company in Los Angeles and from the beginning President and CEO Alex Cole has been vocal in his and Vinnies support of the Shill film project. The coming winter months in Marbella will be bright in more ways than one. 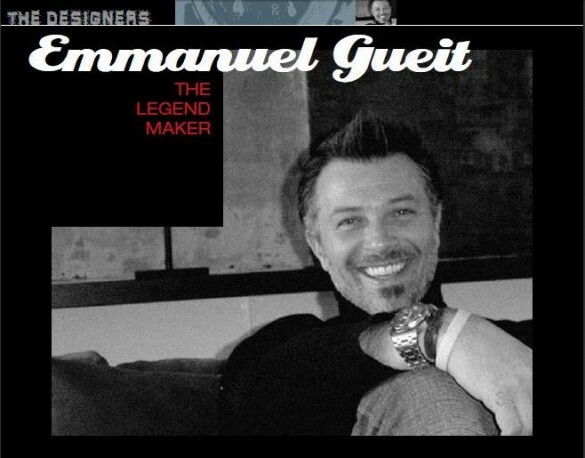 Disclaimer: The views, opinions and positions expressed within this guest article are those of the author Emmanuel Gueit alone and do not represent those of the Marbella Marbella website. The accuracy, completeness and validity of any statements made within this article are not guaranteed. We accept no liability for any errors, omissions or representations. The copyright of this content belongs to Emmanuel Gueit and any liability with regards to infringement of intellectual property rights remains with the author.